According to this report, “The Great Game” is the 189-year-long diplomatic, military and political confrontation between Russia and the United Kingdom that began on 12 January 1830—and that by the early 1860’s, saw Russia forming an alliance with the United States—one of the most important dates being on 29 October 1862 when Russian Foreign Minister Gortchakov gave to United States chargé d’affaires Bayard Taylor a formal Russian pledge never to move against the US, and to oppose any attempt by other powers to do so. 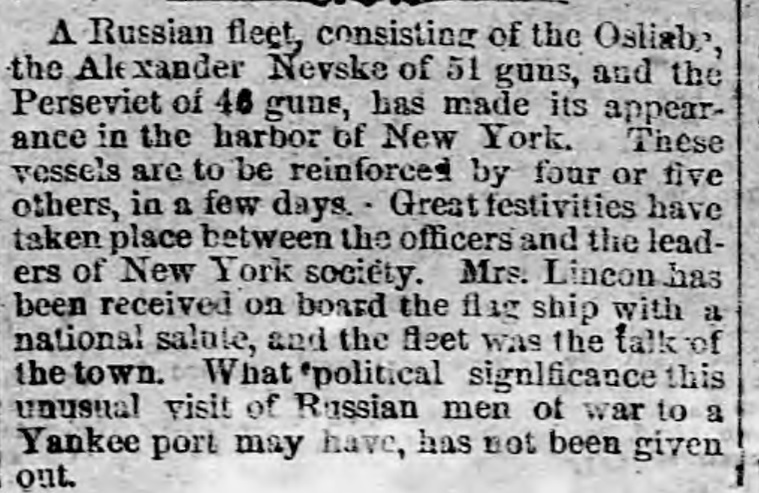 This formal Russian pledge to protect the United States, this report continues, came at the same time America was embroiled in a Civil War—and that Britain and France planned to exploit by sending their invading armies based in Canada and Mexico into the US to carve it up among themselves, and whose first action planned was a British naval incendiary bombardment of Boston and New York City to burn these cities to the ground—but whose invasion plans met with total failure on 24 September 1863 when the Russian Baltic Fleet arrived in New York City to protect it—followed on 12 October 1863 when the Russian Far East Fleet arrived in San Francisco to protect the entire western coastline of America. 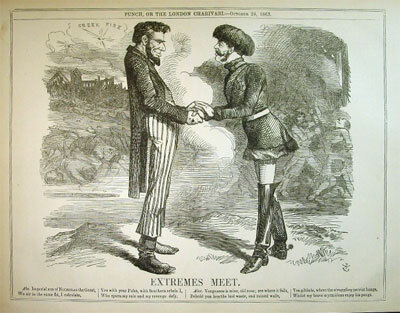 At the point of maximum war danger between Great Britain and the United States, the London satirical publication Punch published a vicious caricature of President Abraham Lincoln and Russian Tsar Alexander II, demonizing the two friends as bloody oppressors. From Punch, 24 October 1863. 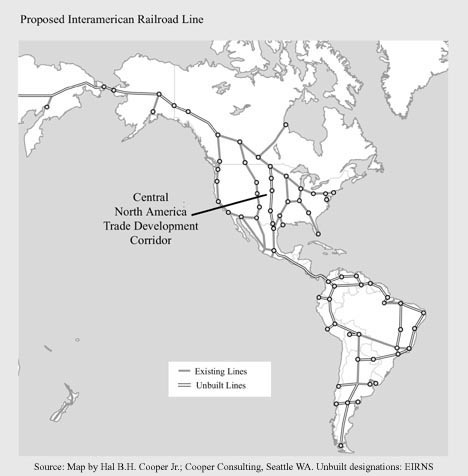 The culmination of the United States-Russian alliance, this report details, occurred on 1 September 1901 when President William McKinley unveiled his dream for “the future of humanity” that would create a US-Russian rail system that would span from Europe, through Asia, to Alaska, and encompass all of North, Central and South America—and would destroy forever the power of the British Empire and its aligned European royal houses—a dream, however, that was vanquished a fortnight later on 14 September 1901 when McKinley was assassinated—thus thrusting into power the socialist maniac President Theodore Roosevelt who not only realigned the US back into British orbit, but also saw the start of a never-ending “Great Game” wars that exist to this very day costing hundreds-of-millions of lives. 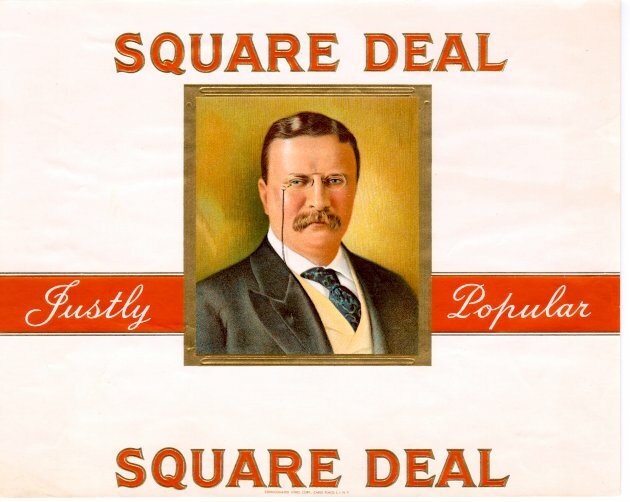 …and replaces it with his socialist “Square Deal”…that was built upon by his cousin President Franklin Roosevelt enacting the socialist “New Deal”…and whose final plan for the destruction of America is the socialist monstrosity called the “Green New Deal”. In 2011, this report details, the three most critical events that will forever be defined as determining the fate of the 21st Century are when Donald Trump Jr. visited Moscow where he learned that the Russian government had revived President McKinley’s dream for “the future of humanity” by allocating a staggering $65 billion for the construction of the world’s longest tunnel to connect Siberia and Alaska as the first part of a new global rail system—a “dream” that excited the imagination of Trump Jr.’s father, New York City multi-billionaire real estate tycoon Donald Trump—but who after two months of trying to equally excite the imaginations of his nation’s elite ruling class to this world changing endeavor, was publically humiliated by them during a White House Correspondent event—and as it’s now recorded: “Trump was so humiliated by the experience, they say, that it triggered some deep, previously hidden yearning for revenge. 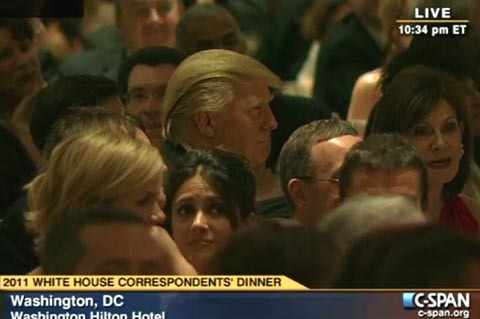 That evening of public abasement, rather than sending Mr. Trump away, accelerated his ferocious efforts to gain stature in the political world”. 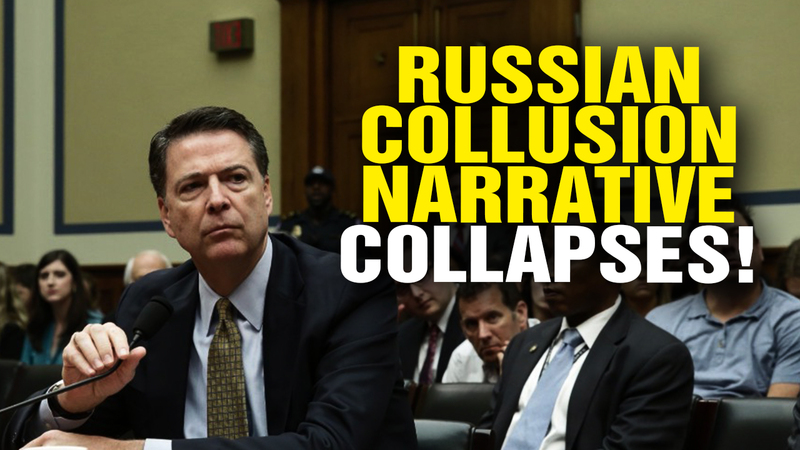 Beginning in 2015, this report further details, Trump took his plans for a new US-Russia alliance directly to the American people—with his, also, trashing both European and US socialist elites for the global chaos and unending wars they’ve caused—and whose message was so powerful, his nation’s citizens propelled him to the most shocking and stunning presidential election victory in history—and that afterward, saw President Trump taking upon himself the mantle of President McKinley to begin imposing tariffs on any nation standing in the way of his country’s greatness. 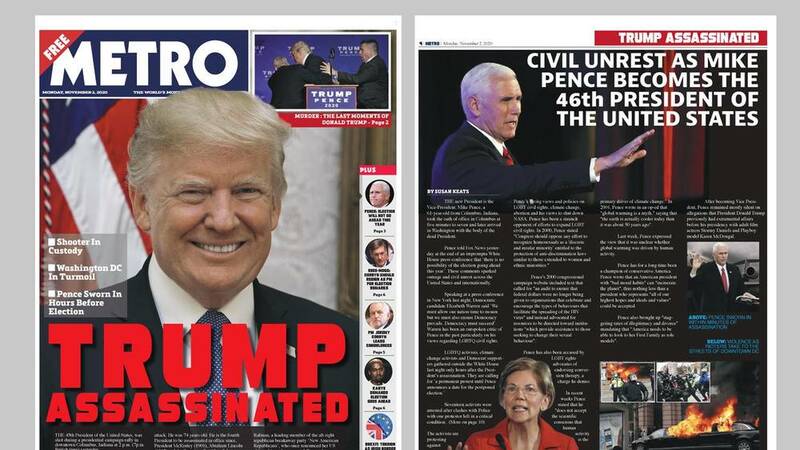 Standing opposed to President Trump as viciously as they opposed President McKinley, this report continues, is Britain—who, for over 3-years, have colluded with Hillary Clinton, the former Obama Regime and America’s socialist-led mainstream propaganda media establishment and tech giants to throw him from power—and whose main device to do so involved their creation of a made up document called the Trump-Russia Dossier that even former top President Bill Clinton aide Mark Penn admits has no underlying evidence for Special Counsel Robert Muller to even investigate— Sir John Scarlett, the former head of MI6 whose operative Christopher Steele created this made up document for Hillary Clinton, slamming it as being “overrated”—and that now even has former US Attorney Preet Bharara, whom Trump fired, warning all of these coup plotters what comes next: “I think it’s perfectly possible that the Mueller report will not be that damaging to the president. And all of us need to be prepared to accept that and move on”. Far from “moving on”, however, this report notes, is Hillary Clinton—who has watched in fearful horror as every attempt to damage President Trump has failed—and as more than evidenced by two polls released yesterday—the first one being from CNN, who in spite of pummeling Trump with “fake news” on an hourly basis for over 2-years, saw them near tearfully having to admit his approval rating is at 42%, a point more than President Ronald Reagan was at the exact same time in his presidency—that was followed by a USA Today poll showing that half of the American people agree that Trump is a victim of a “witch hunt”. You know, the left plays a tougher game, it’s very funny. I actually think that the people on the right are tougher, but they don’t play it tougher. 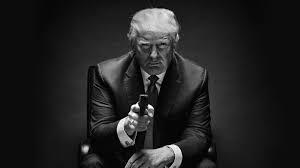 I can tell you I have the support of the police, the support of the military, the support of the Bikers for Trump – I have the tough people, but they don’t play it tough — until they go to a certain point, and then it would be very bad, very bad. March 19, 2019 © EU and US all rights reserved. Permission to use this report in its entirety is granted under the condition it is linked back to its original source at WhatDoesItMean.Com. Freebase content licensed under CC-BY and GFDL.